Ever heard or opened Softonic Website? Or do you feel it is not safe? Well, in this article, I will answer the most asked question “Is Softonic Safe, Trusted and legal?”. The best thing about Windows is that it gives its users a freedom to choose the downloading market of the software. But the lack of restrictions is what makes it a paradox due to increased safety risk over the internet. The malware, viruses and other potential threats embedded into the software packages causes serious safety issues. Tremendous escalation of threats to security is a prime cause of advancing technologies along with which the threats like malware are getting catastrophically deadlier. There camouflage or disguise is getting more advanced day by day. But in today’s era, you have to have tons of apps and it’s a known fact that its practically impossible to purchase every app from the manufacturer’s website or retailers due to many reasons. Thus there are websites assisting the users to download their favorite apps for free. Softonic is among one of them. Softonic is a California based Spanish organization founded in 1997 with an aim to target market content and avail them to users for free. But the risk involved with downloading content over the internet is high as discussed above. Even though the content may not cost you any bucks but if there is an invasion of the personal space due to threats, it might cost you your security. This is 2018 and the need to discuss the safety trends of such websites and software is very essential now, coz its high time. Before downloading any software, if you ask yourselves “is Softonic Safe?” then this Post is for you. So, We would like to welcome you to this post and congratulate you to take such a measure to browse the web for your own safety. 1 Why Do Users claim Softonic is not secure? 1.2 The Other Side: Is Softonic Safe Really? 2 The answer to the Question: Is Softonic Safe and Legit? Why Do Users claim Softonic is not secure? The well-known free portal is held liable for the frequent modifications of copyrighted and free third-party apps. Furthermore, communities, competitors, and individuals are blaming them for intentionally including Malware, Adware, and viruses to the software and apps. However, despite this criticism, Softonic didn’t stop and worked on growing their storage of free softwares. Many online manufacturers recommend the users not to download their software from Developer’s own site and not from Softonic. The Web Of Trust abbreviated as WOT is a browser add-on online resource to check site’s authenticity, reputation and reliability via crowdsourced reviews to indicate privacy, security and integrity of data on any website. Well, the WOT score of Softonic says a different story than users claiming the site as malicious. 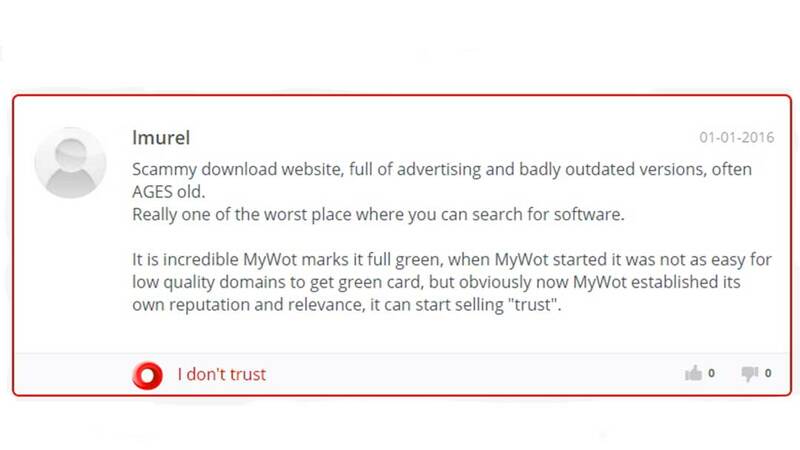 There is an 85% of trustworthiness of this site according to WOT which is a pretty great number in terms of reputation and privacy. 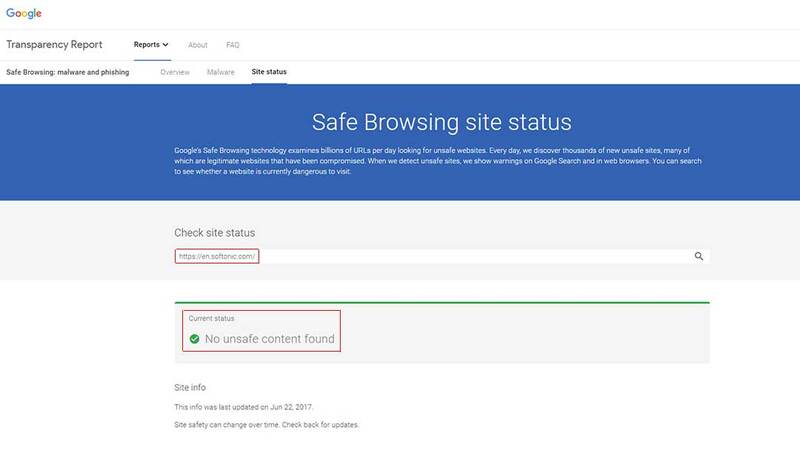 Thus its an assurance from Google that the site is safe to browse and download the content through it. No matter what, those users who keep criticizing Softonic for malware, the same users download software through the site every day. There are positive reviews from the users which you can check on Quora, HowtoGeek and Velocity. Many users still rely on Softonic for their favorite software download. The Softonic claims that their files are 100%safe and pre-scanned for any malware or viruses. It doesn’t want to compromise its reputation by not providing any security mechanism for its files. The Other Side: Is Softonic Safe Really? On the other hand, for some part, it is true that Softonic Software’s are malicious. This fact holds a truth because in this bleak world of the internet no one can guarantee the safety and security of files downloaded through it. 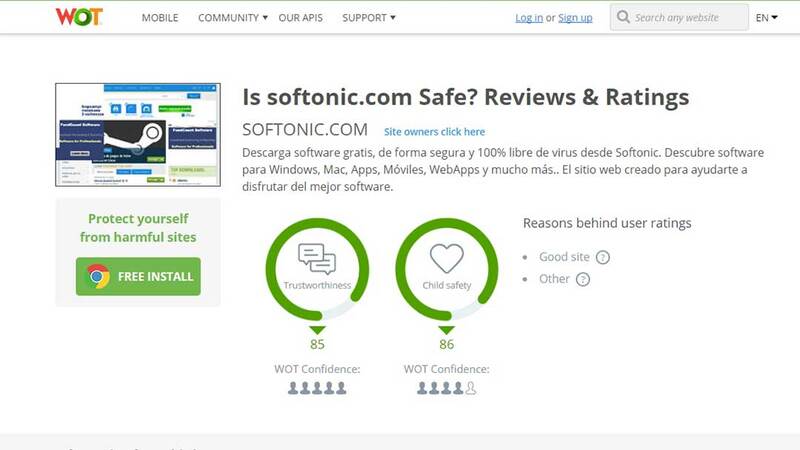 Some illumination on the user’s reviews and experience suggests that they faced some issues while and after downloading a software through Softonic. It’s not one or two, but a number of users attest that the Softonic installer which guarantees malware free downloads, is itself a malware. Apart from this, it is allegedly responsible for downloading other malware software without users permission. The malware detected by antivirus software holds accountability to the fact. The Virus and Malware are not only the issue. Though the files are found secure but later came out to be Outdated. The version promised on the title of the download is not there and a dated back version gets downloaded instead. This costs valuable time and data to users. The Worst part about downloading a free file from the internet is ads. 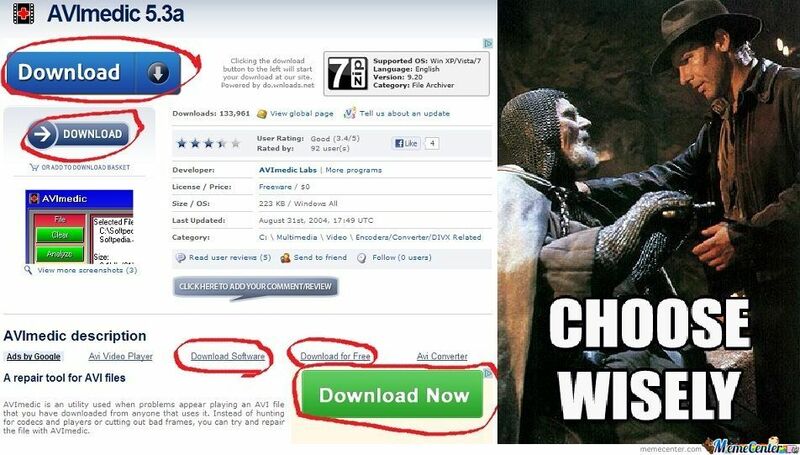 Literally finding the right download button is comparable to defusing a bomb. Users complaints about too many ads while downloading the software. A newbie will easily fall for the fake downloads hyperlinked by ads causing viruses and malware breach. Another significant concern is the control that Softonic app takes over the PC. As discussed above, the downloads and installs are under control. The Disk space is also said to be controlled due to the fact that the Software is entirely taking up the disk space. Sometimes the program turns itself into the homepage of the device due to extension getting download automatically. The answer to the Question: Is Softonic Safe and Legit? So is Softonic safe? Well, in my point of view, if you take proper measures and incentives to protect your PC like using good antivirus software, excluding additional irrelevant downloads from software packages, scanning new programs for possible threats then Softonic is safe and secure source to download. Or else it’s not secure. The rest of the decision is yours.